In the early 1970’s Stephen Willats developed a new project which revolutionised art and its reception and created a prototype for the future of art practice. 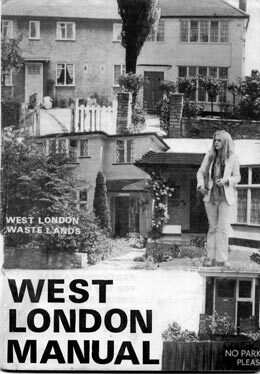 The work was called The West London Social Resource Project and its aim was to be socially responsible, self organising, inclusive, and community-based to reflect societal values, behaviour, contextual language, and environment and to encourage those normally excluded from “high” culture to participate. 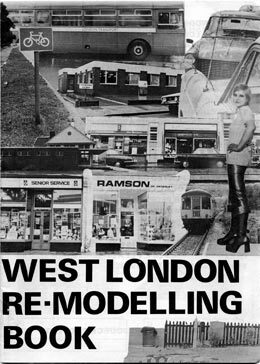 The West London Social Resource Project was created in several stages: door step discussions were conducted by volunteer project operators (the so-called West London Supergirls) in four suburban areas populated by different social groups. Potential participants were approached twice to gauge their interest and if they agreed to take part they were given information leaflets and a window poster to signal their involvement to neighbours; they were then given the West London Manual which posed questions, or problems, to which participants provided answers, or solutions. The questions and problems posited were about the participants, their homes and their neighbourhoods and asked those involved to describe things as they were. The completed question sheets were collected and then pinned on Public Register Boards in nearby public libraries. Participants were then given the West London Re-modelling Book which similarly raised questions, but this time asked participants how they would like things to change. In the second phase of displaying the Public Register Boards participants were asked to vote on their preferences and a book entitled Final Project Models containing collated votes was produced and distributed to participants so they could compare their own answers against the consensus opinion. Willats states that engagement in the process helped participants to “re-articulate their existing perceptions [and] attitudes towards social conventions”. The project took time, it involved the participation of a large group of people, and the outcomes of the project were completely dependent on their engagement and reflected their opinions and values; in this sense it was a truly radical shift in art practice and its implications and importance took some time to be understood and assimilated. 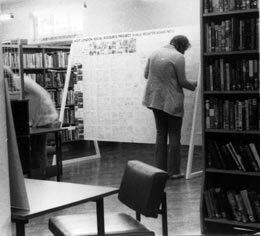 In order to engage a wider audience, Stephen Willats devised a Public Monitor at Gallery House in Exhibition Road, Kensington, London, which was shown simultaneously with the Public Register Boards on display in West London public libraries. 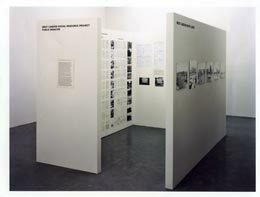 The Public Monitor, created as a room within a room, included the new technology of Xerox copies of the material from the Public Register Boards, it was hoped that new audiences encountering the Public Monitor would then be stimulated to see the originals in situ in the suburbs of West London. The Public Monitor has been recreated internationally over the years but never at Chelsea School of Art, where the West London Social Resource Project was acquired by Stephen Bury as a study resource as part of the library’s Special Collections. This is a unique opportunity to see this work, that has informed the agenda of much of current art practice, on display in London for the first time in over thirty years. Stephen Willats has generously collaborated with us and Special Collections Librarian, Gustavo Grandal Montero, to create a new installation of the Public Monitor devised especially for CHELSEA space.